Every year since the introduction of the iPhone in 2007 has been a big year for iOS, and 2012 is certainly no exception. Let’s take a stroll down memory lane, recalling the year that was for the iPhone, the iPad, and the operating system that powers them both. Apple also unveiled a program designed to let businesses buy apps in bulk; “norms” like you and me still have to buy our Angry Birds one app at at time, however. January also saw the annual Macworld | iWorld Conference and Expo—the trade show that goes through name changes the way Cher goes through costumes. Among the Best of Show winners we recognized at Macworld | iWorld 2012 were iOS-friendly products like Adonit’s Jot Touch Bluetooth-enabled iPad stylus, Blue’s Spark Digital USB mic for iPad and Mac, iStopMotion for iPad, the Game Your Video app, PDFpen for iPad, and the TourWrist app for panoramic photo exploration. Still, though February wasn’t full of iOS news, one significant kerfuffle occurred that month, in connection with overzealous address book access. Social networking app Path published a letter of apology after its app was discovered uploading the entire contents of its users’ address books to its servers—unencrypted. Path wasn’t the only app to help itself to such address book data, but it became the face of a type of business behavior that prompted a significant discussion of iOS security. March was a big month for iOS, starting with another press event, wherein Apple unveiled the new iPad, whose hotly anticipated Retina display scored almost as much press attention as the lack of a “3” in its name. Apple CEO Tim Cook would crow later in March that Apple had a record weekend of sales for the new iPad, selling more than 3 million of the crisp-screened tablets. We loved the third-generation iPad and its 3.1 million pixels. Especially sweet, sweet pixel number 2,732,019—such a good one. At that same March press event, Apple announced iOS 5.1. Its flagship feature was Siri’s new support for Japanese. Reached for comment, Siri said, “ごめんなさい、私はあなたがして、何を意味するかわからない “Siriのは、あなたも私の話を聞いている！” Also as a result of the update, AT&T customers magically saw their 3G label turn into a 4G one, in a fit of cellular branding; a geofencing indicator appeared; and the lock screen camera shortcut debuted. Apple also used its March event to introduce iPhoto for iOS, and to announce updates to the rest of its iWork and iLife apps for iPads and iPhones. And the company proclaimed that the App Store had crossed the 25 billion downloads mark. That’s roughly four app downloads for every dollar Apple had in the bank at the time. Apple didn’t make any significant iOS news in April this year. Probably because it was too busy counting its nearly doubled profits. Word to your mothers. Or more accurately, cards to your mothers. And more specifically, 100 percent cotton cards. Because in May, Apple added Mother’s Day letterpress templates to its Cards app, while making minor updates to several other apps, too. 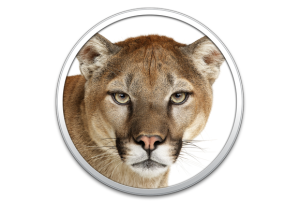 iOS 5.1.1 made its debut, and met with the rapturous enthusiasm that you’d expect an update with such a flashy version number to engender. Also in May, Apple announced 2012’s Worldwide Developers Conference (WWDC), which got everyone wondering about a potential upcoming announcement of iOS 5’s grand sequel, iOS 6. At WWDC, Apple held YAK—Yet Another Keynote. 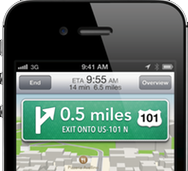 This time, the Cupertino crew premiered iOS 6, with the long-rumored new Maps app as its flagship feature. The Maps app, Apple promised, would include turn-by-turn directions, voice guidance, and a stunning new 3D view called Flyover. The company didn't mention that, at least in some regions, the Maps app’s geographic information would be decidedly lousy. iOS 6 also taught Siri some new tricks, and brought it to the third-generation iPad. And Apple showed off various other features, including Do Not Disturb, Facebook integration, Photo Stream, Passbook, and FaceTime-over-cellular. Customers couldn’t race to install the new iOS on their devices, however: Apple said it wouldn’t launch until the fall. June also saw the release of Apple’s Podcasts app for iOS. That was not particularly a highlight of the company’s year. And Google released Chrome for iOS, which turned out to be just the first of the company’s strategy to release apps aimed squarely at Apple’s built-in software. In July, Russian hacker Alexy V. Borodin exploited an iOS flaw that gave him the ability to make in-app purchases for free. Borodin offered up his method to the masses, or at least to the tech-savvy-but-morals-unencumbered masses—though it later emerged that people who tried his approach also ended up providing their Apple IDs and passwords to him. Doubtless he kept the information safe. Google, meanwhile, acquired the popular Sparrow app for iOS, an acquisition signaling that put Google’s unloved Gmail app in a position to inherit some of Sparrow’s interface advantages. Beyond that, August was relatively quiet on the iOS front, almost as if something big were brewing—which, true to form, it was. We’d just gotten over mourning the not-yet-defunct preinstalled YouTube app, when Google released a stand-alone YouTube app. And that was just the start of September's emotional roller coaster. But before we could get our desperate hands on the new iPhone, Apple released iOS 6, as well as significant updates to iOS apps such as iBooks, GarageBand, iPhoto, iMovie, and Keynote. And the Cards app achieved iPad compatibility for the first time, meaning that you can now create 100 percent cotton letterpress cards from pretty much every iOS device there is (if device is running iOS 6—sorry, first-generation iPad!). 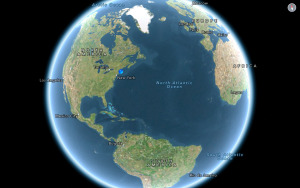 As Apple quickly sold 5 million iPhone 5's (they went on sale around the world on September 21) and recorded 100 million iOS 6 upgrades, more and more customers started trying out Maps. And many of them felt like telling Apple’s new Google-free Maps to get lost, especially since some Maps users so often got lost themselves. 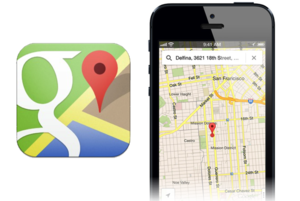 “The more our customers use our Maps, the better it will get,” Apple said. Then Tim Cook said that Apple was “extremely sorry for the frustration” that people faced with the Maps app. "Now may not be the time” for an iPad mini, my friend and colleague Dan Moren argued, a rare off-the-mark prediction from him—and one that I would never go out of my way to recall in a public forum just to goad him. Elsewhere on the iOS front, companies started making moves focused on iOS 6’s changes: Giants like Starbucks embraced Passbook; and Google sneaked Street View back onto the iPhone via its website. However, Passbook seemed to catch on slowly, and folks continued to complain about the iOS 6 Maps situation—though they continued to buy the iPhone 5 in droves. 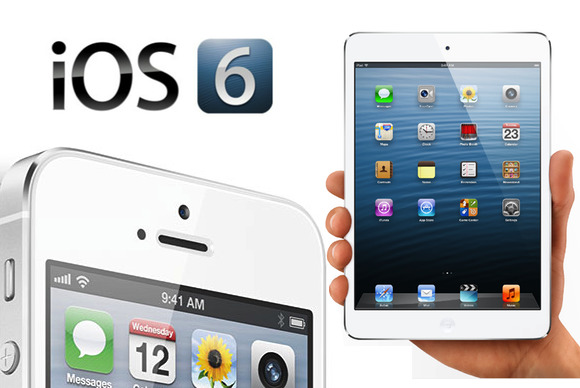 The big iOS news in November was that we finally got our hands on the iPad mini and the fourth-generation iPad. And guess what: We liked the iPad mini, and we liked the fourth-generation iPad, too. In fact, the one new iPad-related item we didn’t much like was the iPad mini Smart Cover. I’m pretty sure Hurricane Sandy’s bitter aftertaste didn’t influence my review of that accessory, but I promise nothing. In December, Google updated Gmail for iOS, which incorporated some interface refinements inspired by Sparrow, as noted in the July subhead above. But that wasn’t the biggest Google iOS release of 2012. No, that distinction clearly goes to Google Maps, which arrived on lucky December 13. We liked the app, and we weren’t alone: It rocketed to the top of the App Store charts, thanks to features like turn-by-turn directions, Street View, and, of course, Google’s extensive and road-tested mapping data. iOS 6.0.2 debuted in December as well, aiming to fix Wi-Fi woes that ailed the iPhone 5 and iPad mini, but some upgraders now report battery woes instead. Apple also updated its iWork suite for iOS, looking to improve compatibility with Microsoft Office. Let’s take a moment to commiserate with the poor souls responsible for verifying how well the iWork apps on iOS handle complex Office documents—because, wow, does that sound painful.